The Eagles announced Tuesday they have activated defensive tackle Timmy Jernigan from the Non-Football Injury/Reserve list. In a corresponding move, the team waived defensive tackle T.Y. McGill. 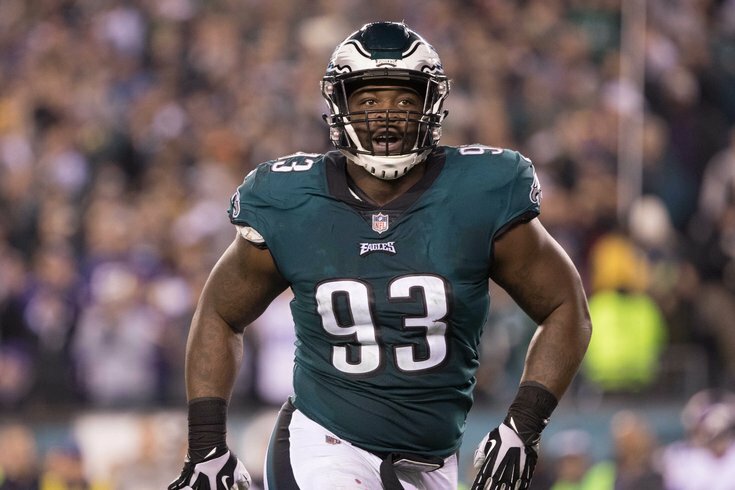 Jernigan, who hasn’t played for the Eagles this season after undergoing offseason back surgery, was placed on the list back in early September, when the team pared its roster down to 53 players. He was cleared to practice for the first time this season two weeks ago. The 26-year-old lineman had a solid, if not spectacular, start to his Eagles career last season. He finished with 29 tackles and 2.5 sacks, appearing in just under 50 percent of the team’s defensive snaps. The Eagles’ defense hasn’t generated nearly the kind of pressure on opposing quarterbacks that it did a year ago, ranking tied for 15th in the league with 26 sacks through 10 games. "Obviously, 14 tackles on 426 total snaps (one tackle every 30-plus snaps) is not good. Jernigan [...] is a multi-dimensional DT who can play both the pass and the run." The team will probably benefit from Jernigan’s return. Will it be too late? Maybe! The Eagles also announced Tuesday they have signed center Anthony Fabiano and cornerback Jeremiah McKinnon.